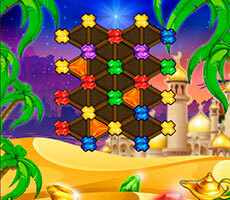 In our childhood we all dream to manage some powerful weapons: a gun, a ballista or even a bow. 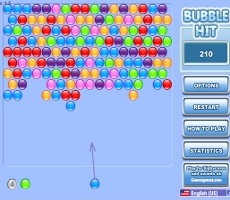 Today you can implement your desires "online" using a game Bubbles Shooter. 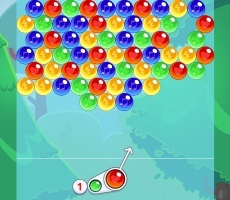 You can become the commander of the board where the weapon is a huge bow. 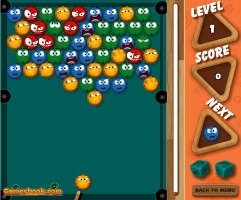 Lets check what the rules of the game and how to earn a large number of points. 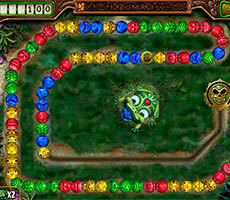 To start the game click the "Start" button and the playing field will appear in front of you. 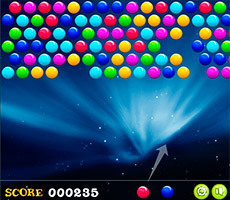 It is full of multi-colored bubbles. 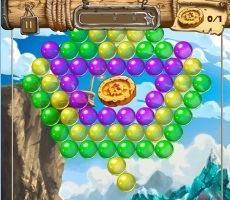 At the bottom of the field there is a bow which is not harmful but rather amuses and entertains. 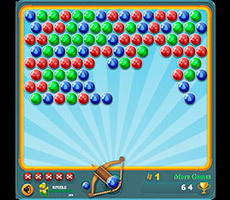 Bow shoots bubbles of different colors: green, blue, red. 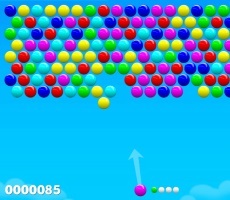 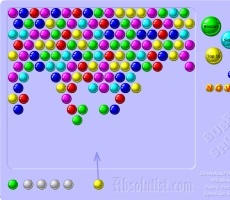 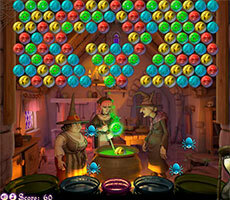 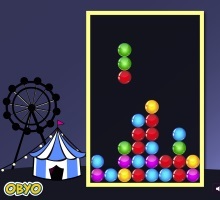 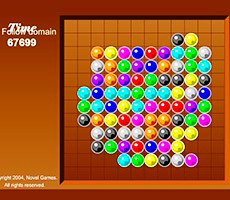 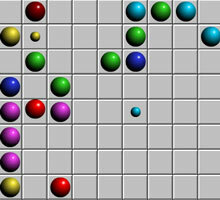 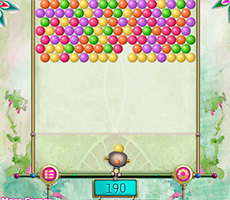 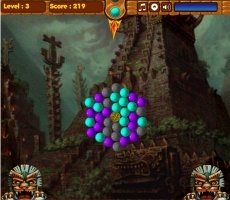 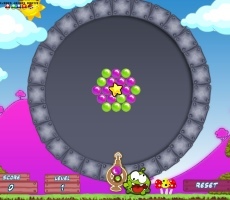 The player's task is to shoot bubbles which are the same color as a bubble on the arrow. 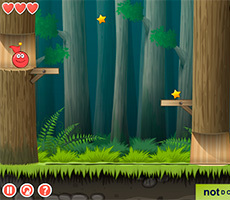 For example, if the bow shoots a red bubble direct an arrow to the line consisting of the red bubbles. 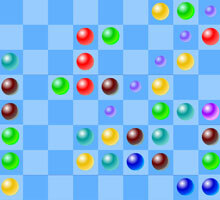 After a well-aimed shot the bubbles removed and the field gradually becomes empty. 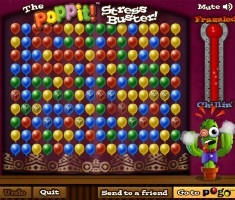 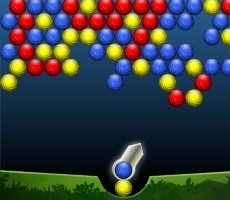 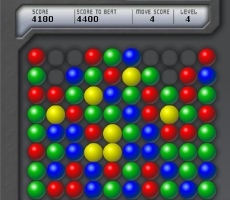 The point of the game Bubbles Shooter is to remove all balls from the field. 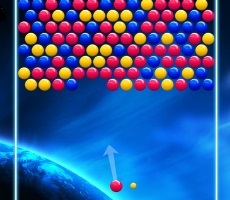 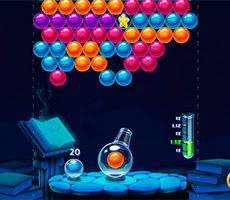 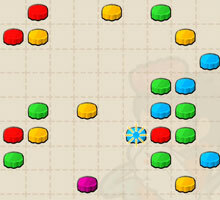 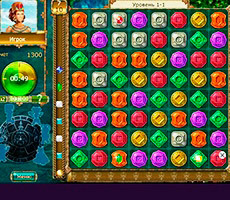 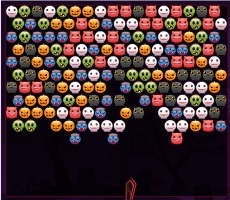 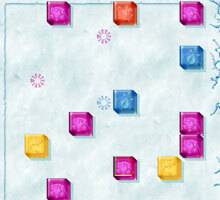 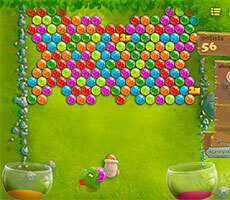 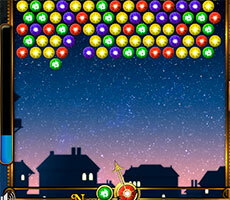 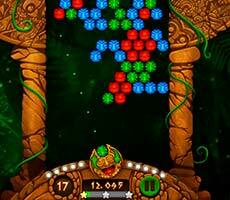 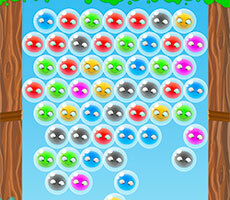 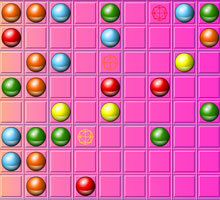 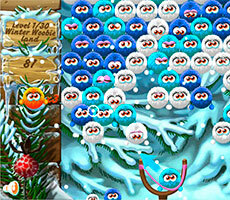 If the shot is wrong an additional number of bubbles appear on the field, which makes it difficult to pass the level. 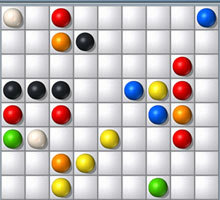 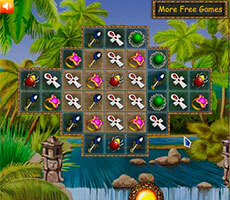 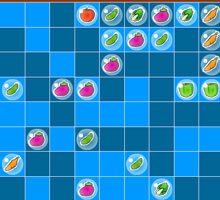 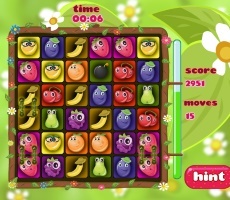 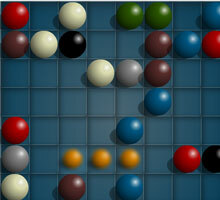 Practice the game, develop a winning strategy and soon you will be able to earn maximum points!